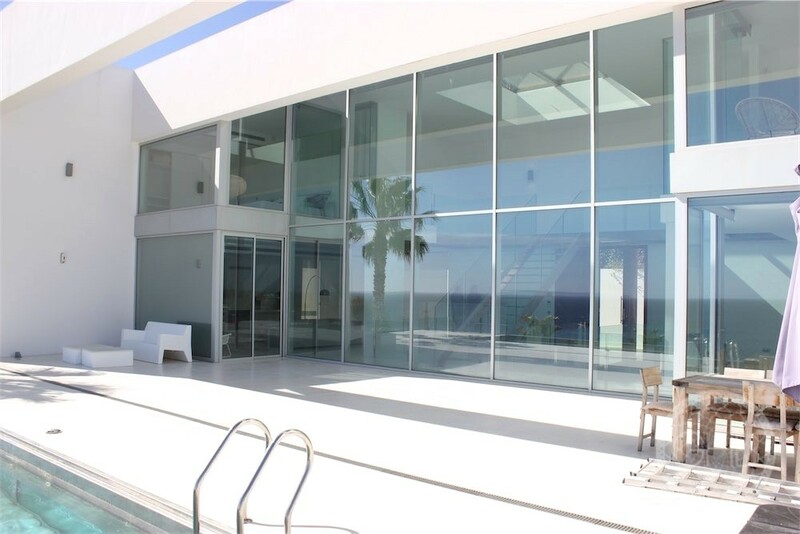 This outstanding villa is nestled in one of the most exclusive gated urbanisations on the island, offering 24h security service. 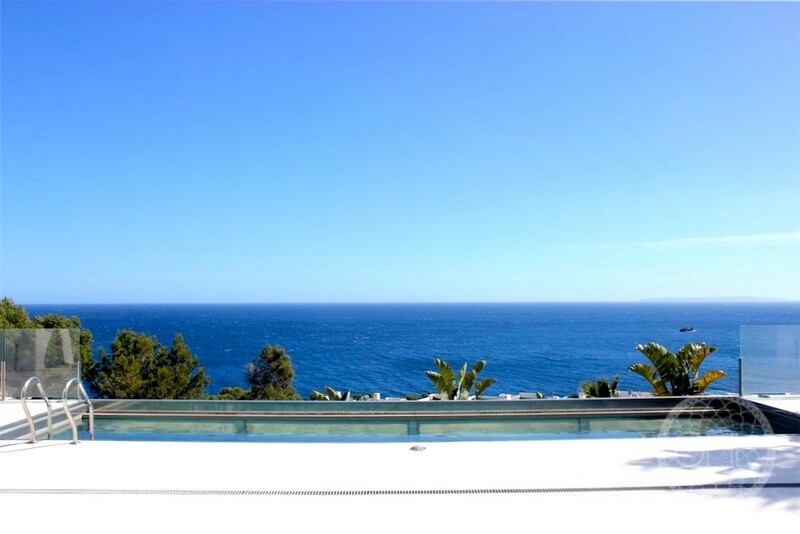 The views are stunning and reach all the way to Formentera. 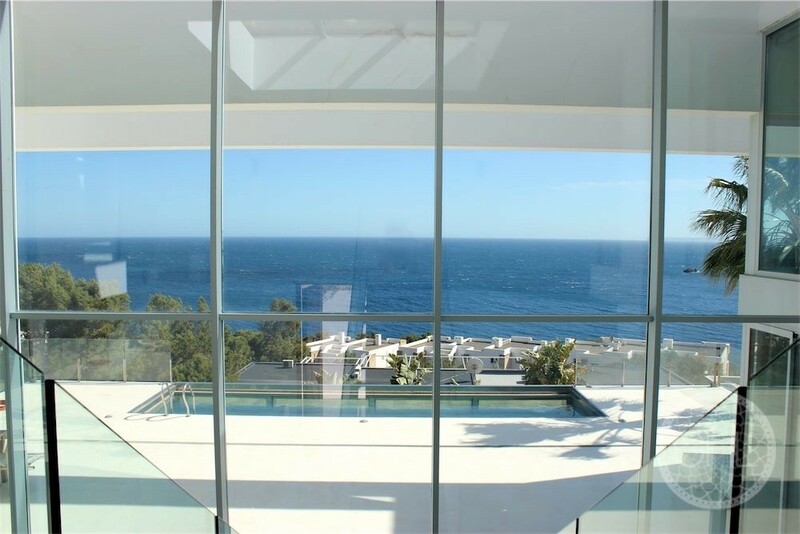 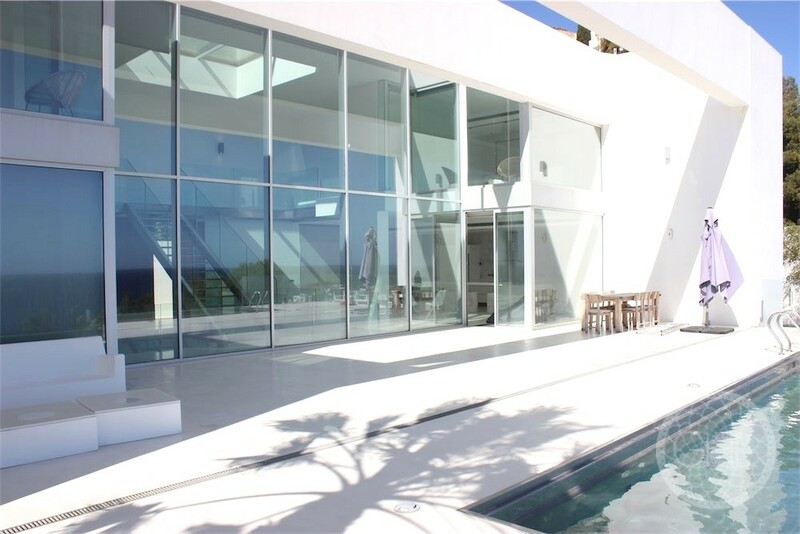 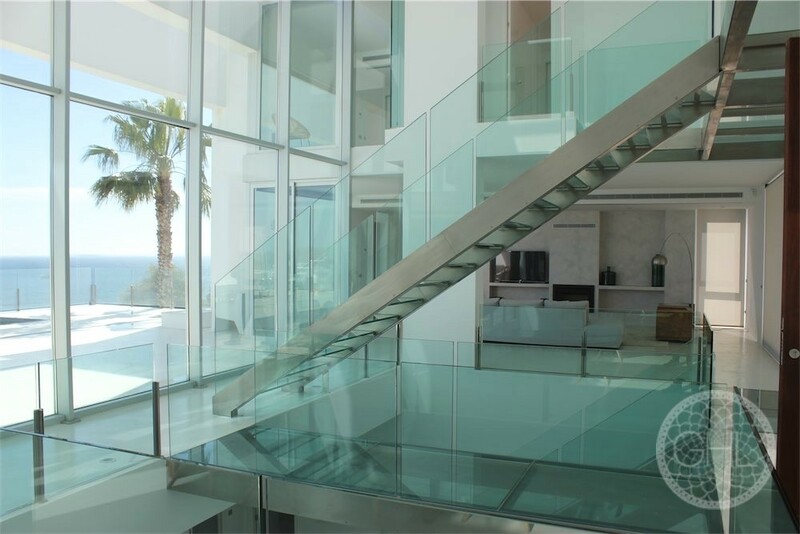 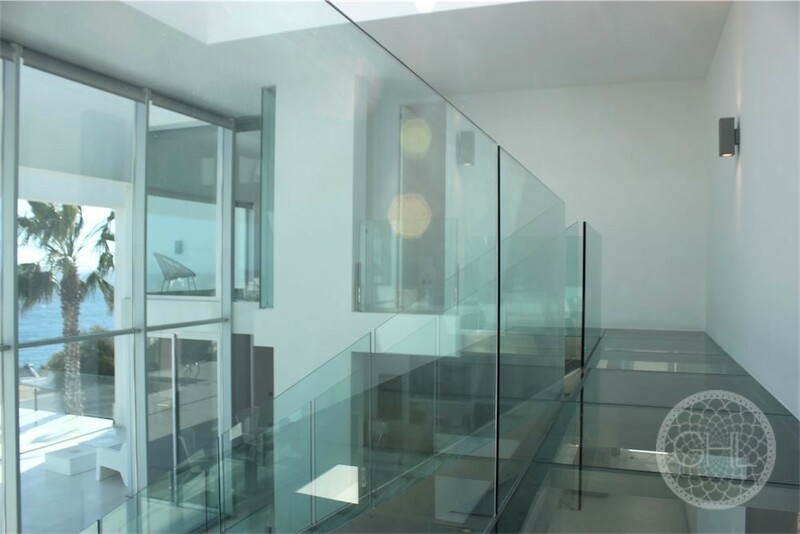 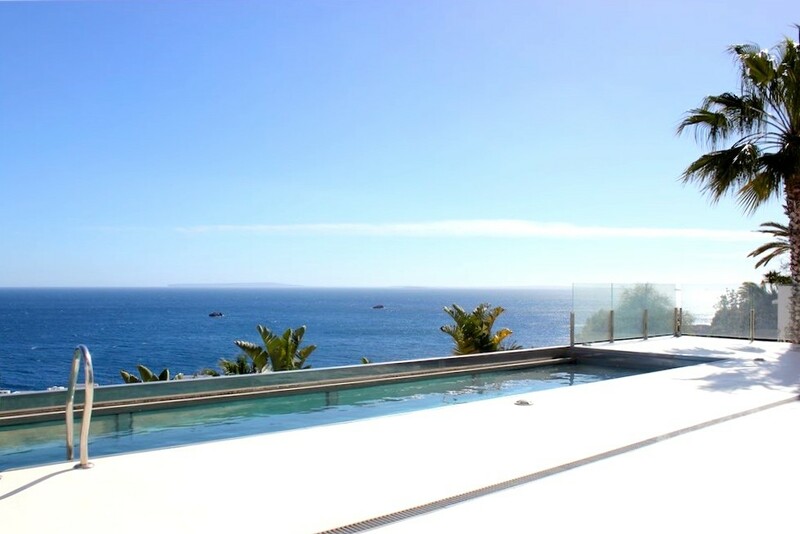 It is made of pure modern design, incorporating a huge glass front towards the sea, giving the villa a very unique character. 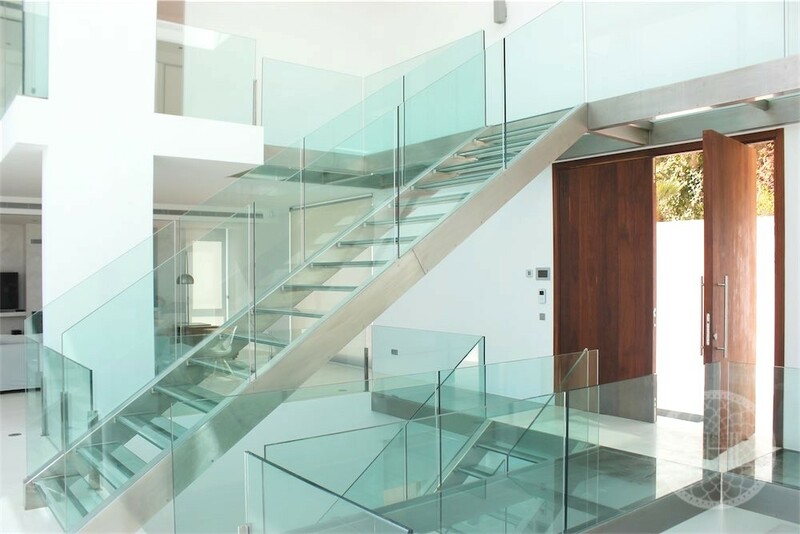 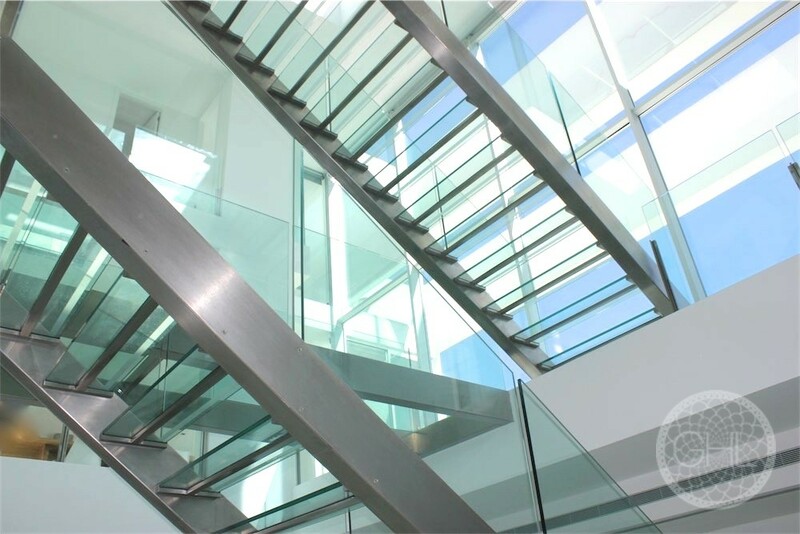 An open stairway and a glass elevator connect the floors. 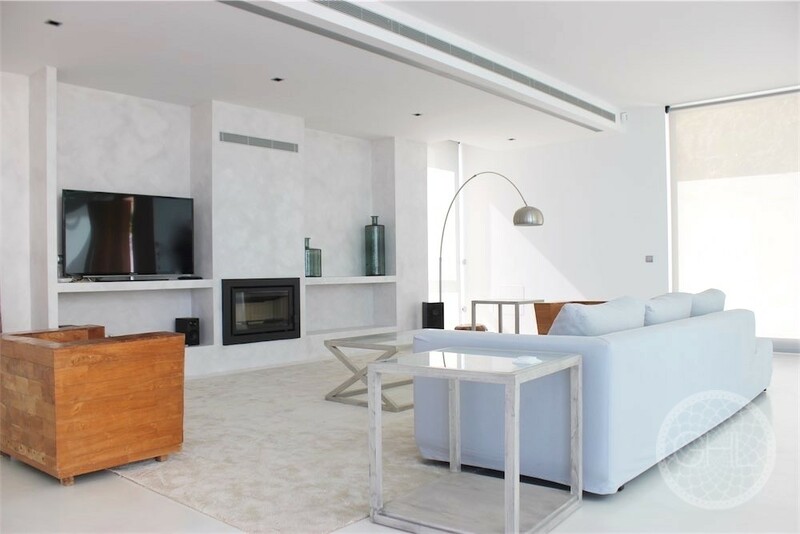 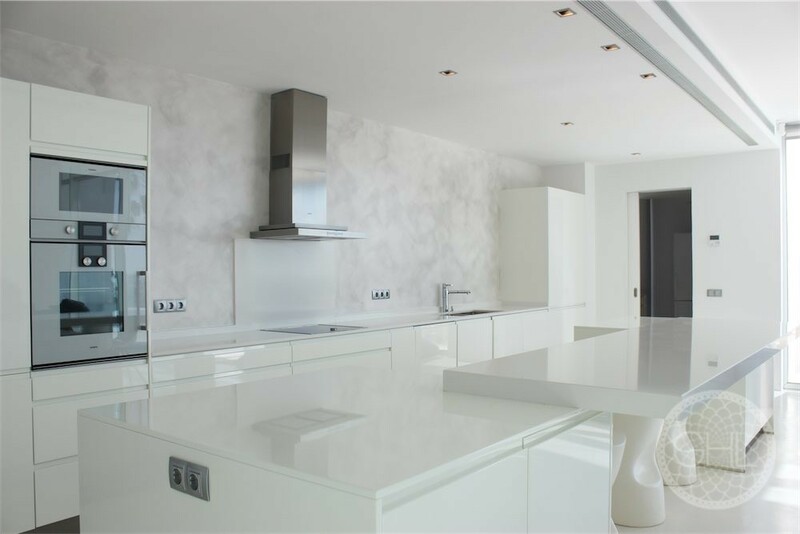 Additionally, there is space to build three more bedrooms, or a gym and recreation room. 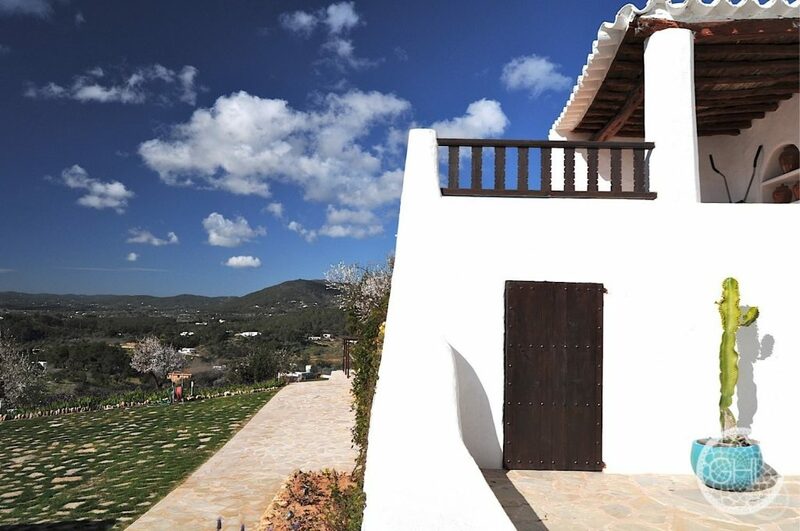 Ibiza and Santa Eulalia are both only a ten minutes’ drive away.